Film directing includes the cult classic CLUE (he also wrote the screenplay), NUNS ON THE RUN (also written by Mr Lynn), MY COUSIN VINNY, THE DISTINGUISHED GENTLEMAN, SGT. BILKO, GREEDY, TRIAL AND ERROR, THE WHOLE NINE YARDS, THE FIGHTING TEMPTATIONS (NAACP Image award) and most recently, WILD TARGET. 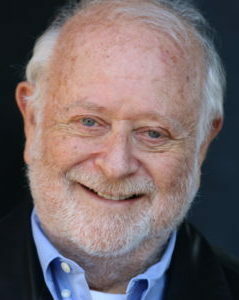 For television, Lynn has acted in and written dozens of episodes of various British comedy series, including YES MINISTER and YES, PRIME MINISTER, created and co-written with Antony Jay. Lynn authored the books THE COMPLETE YES, MINISTER and THE COMPLETE YES, PRIME MINISTER, which cumulatively sold more than a million copies in hardback and have been translated into numerous languages and are still in print nearly 30 years later. His book, COMEDY RULES (Faber and Faber) received rave reviews and of his latest book, the satirical novel SAMARITANS, the London Sunday Times wrote “This is a book George Orwell would have approved of.” Sony TV is optioning the rights. After receiving a law degree from Cambridge University, Lynn’s West End theater debut, aged 23, was as Motel the Tailor in the original London cast of FIDDLER ON THE ROOF. Subsequent London directing credits include: THE GLASS MENAGERIE working with Tennessee Williams; SONGBOOK (Best Musical: Olivier Award and Evening Standard Award); ANNA CHRISTIE (RSC, Stratford and the Donmar); Joe Orton’s LOOT, PASS THE BUTLER by Eric Idle, Shaw’s ARMS AND THE MAN and David Wood’s THE GINGERBREAD MAN (Old Vic, twice). While Artistic Director of the Cambridge Theatre Company, Lynn directed twenty productions and produced twenty others, nine of which transferred to the West End. At the National Theatre, Lynn directed A LITTLE HOTEL ON THE SIDE by Georges Feydeau and THREE MEN ON A HORSE by George Abbott (Olivier Award, Best Comedy). More recently, he co-wrote and directed the play YES, PRIME MINISTER at the Chichester Festival Theatre, then at The Gielgud Theatre in London, playing to full houses for sixteen weeks. It subsequently played longer return seasons by public demand at the Apollo, the Gielgud again and the Trafalgar Studios, and numerous foreign cities including LA (but not yet New York)! His latest play, THE PATRIOTIC TRAITOR, played at the Park theatre, London, in 2016 for a 100% sold-out run. It is also published by Faber and Faber.